This world is full of classic rivalries, steeped in tradition and bound to continue for eternity. Autobot vs Decepticon, Maximal vs Predacon, Starscream vs Everyone Else. 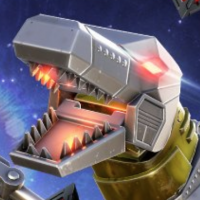 Recently, Starscream was made the unofficial leader of a troop of Sharkticons...but it seems as though there is a challenger for his frenzied throne. There will be a long road of enemies to face to solve this mystery. Commanders, are you up to the Challenge? Take on New Quintessa's newest challenger, Thundercracker, in a new Challenge Mission! Prove yourself a worthy opponent against Thundercracker, and get an early chance of adding him to your squad! This Challenge Mission consists of 4 different Difficulties! Each of which contain 6 Missions of 6 fights each. The Difficulties are Trouble Brewing, Rising Danger, Critical Challenges, and Thunderstruck! Before we announced this special Challenge to anyone else, we approached 2 Commanders that have been making great content for our Players. These two worked with our Mission team to add their own Bot and Mod combination to this Challenge. We’ll let them tell you which Bots they chose, but a very special thank you to iNightSkies and LukeConnerton for their participation in this Challenge Mission. Check out their YouTube Channels! Maybe they’ll give some tips on how to take down their Bots if you ask nicely! Completing these Missions will award you with Spark Fragments and Bot Crystal shards, but more importantly, these missions will add the latest addition to the Fight, Thundercracker, to your Roster! That's right Commanders. 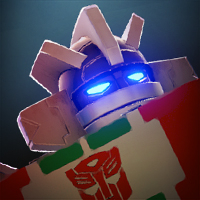 If you can complete any difficulty of the Challenge, you'll be rewarded with a brand new Bot! The Thunderstruck difficulty will award a 4-Star Thundercracker! Trouble Brewing and Rising Danger Difficulties each award a 2-Star Thundercracker, and the Critical Challenges Difficulty awards a 3-Star. This won't be your last chance to get Thundercracker. 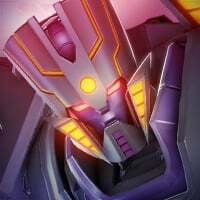 He will be available again later this month in Special Thundercracker Crystals and Arenas. That will be your first chance to nab him as a 5-Star! He will not be available for Bot Chips at this time, so put those away! More information on that, and his Intel Report, will be available closer to then. Prepare yourselves Commanders, this Challenge starts at 10am PDT on April 4th! Finally. Looks interesting. Hope the difficulty is awesome. What are the rewards breakdown besides thundercracker? So no way to earn a 5 Star except by buying crystals. I welcome the new challenge (and new content), but I'm not so sure making his 5 Star unobtainable through the challenge was the way to go. Or are these bot crystal shards we can win unique Thundercracker ones, like the Bee ones, that at least offer a chance of getting a 5 Star Thundercracker? Still, grateful for the new content and it looks fun. Thanks to @Inqosly and @LukeConnerton for pitching in! @Kabam Miike Any hunts on what the PI looks like in the hardest difficulty? 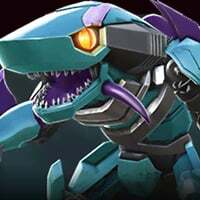 are we expecting master Type bots, or Rok type? We definitely wanted to make him the rarer of the group to obtain and this was our way of going about it! Understand that it isn't the most exciting way for you, but even a 4-Star Thundercracker is going to shake your roster up in an exciting way! I love it! Can’t wait to play this challenge. Do you have to complete or 100% it to get him? Will The Thundercracker Challenge Missions factor into the Monthly Objectives for April? Or it's like one chapter? With 6 bots in each fight? I guess I may be a little out of touch regarding all the streamers out there, but who’s this Luke Connerton guy when it comes to Forged to Fight? The likely scenario is that it will be something similar to the G1 Bumblebee Challenge (Run in conjunction with the Original G1 Megs “I Still Function” Special Mission) from December, 2017. 1 path in each mission with 6 bots, 6 Missions total broken up over 1-3 Chapters. They will use Mission Energy (1/Node on the Easiest Path, 3/Node on the Hardest Path). You may be looking at using anywhere from 6-18 Mission Energies per Mission on the Easy Missions (18-54 on the Hardest). 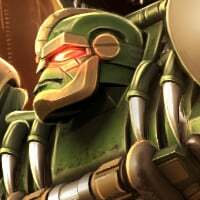 Please sweet ever loving Primus let one of the commanders have picked Warpath to be in the game. They should have consulted with someone like @BOFAD who’s the leader of the top alliance. Well, then again, if he made something challenging for himself, it would be pretty much impossible for the rest of us normal folk. Well, considering Inqosly (aka, iNightSkies) is a member of the Alliance that Bofad is the Leader of... I figure the Omega Primes Alliance MAY have supplied some feedback as part of this. That was my initial thought, but figured Inqosly had to keep it under wraps and not tell others. I don't think he run his channel like inqosly. Dose that mean that iNightSkies and LukeConnerton colluding with you? hint hint 😈. Just kidding I am glad that you included the community in developing this event & I wish there are many in the way. One of them picked Robotronus but worse, bet. @Kabam Miike maybe the next bots can be a community vote! I think that'd be a great idea to see what everyone wants! Events like this aren’t meant for just guys in Omega or Kaon or Taao to complete, they are meant for a majority of players to get through or push themselves to complete. Someone like @Inqosly is going to know that a whole lot better than a guy like me or others in Omega because we only like the hard stuff. We live more for the challenge and thrill of it basically. We all have short attention spans and get bored really easily that’s why we stink at AE lol. But we all got ninja in us. Really hope the community appreciates both Kabam for asking, and guys like Luke and Inq for taking the time to consider the community. Hopefully it’s alot of fun and everyone enjoys it and we see more of these types of events to come. Couldn’t have said it better! Thanks.